By far, this is one of the best lessons I have taught in preschool thus far. My little 3 and 4 year old students are fascinated with butterflies and loved every minute of it. Butterfly craft and directions below. Finally, right before our eyes, we saw it happen. We arrived at school to find that 5 of our caterpillars had successfully emerged from their chrysalises and were flying about the butterfly cage. 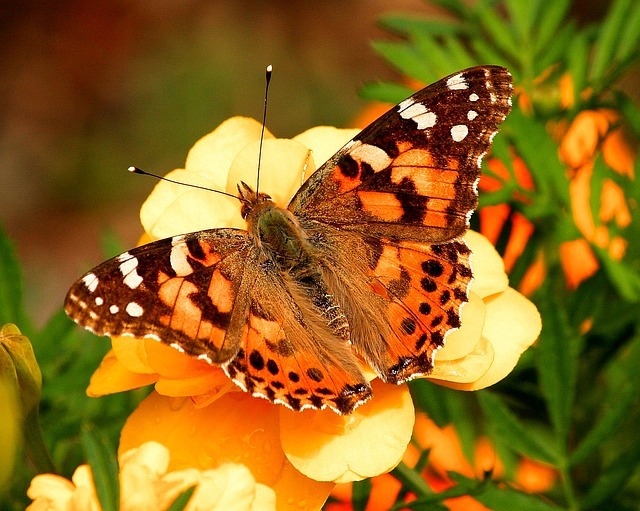 Painted Lady butterflies are quite beautiful. Our class meets just one day a week so it was important that we release them in the wild by the end of the day. But three were still getting ready to emerge. We could see them gyrating, struggling to break free. Before the day’s end, two more were flying around enjoying their new lives. (Sadly, one did not make it.) What an unforgettable experience. This sweet little craft is very prek-friendly. My little ones are only beginning to learn the use of scissors so, to maximize enjoyment and minimize frustration, we adults precut the templates before class. Our craft consisted of a template of a butterfly, printed on card-stock and cut out. The students decorated the wings with tempera paint dotted all over using a large marshmallow as a “paint brush.” They dipped the end of the marshmallow in one color and dotted, flipped it over and dipped in a different color. After the wings dried, they glued googly eyes and pipe cleaners for antennas onto a large craft stick. Then the stick was glued onto the middle of the butterfly wing, as the body. Voila! A Butterfly! 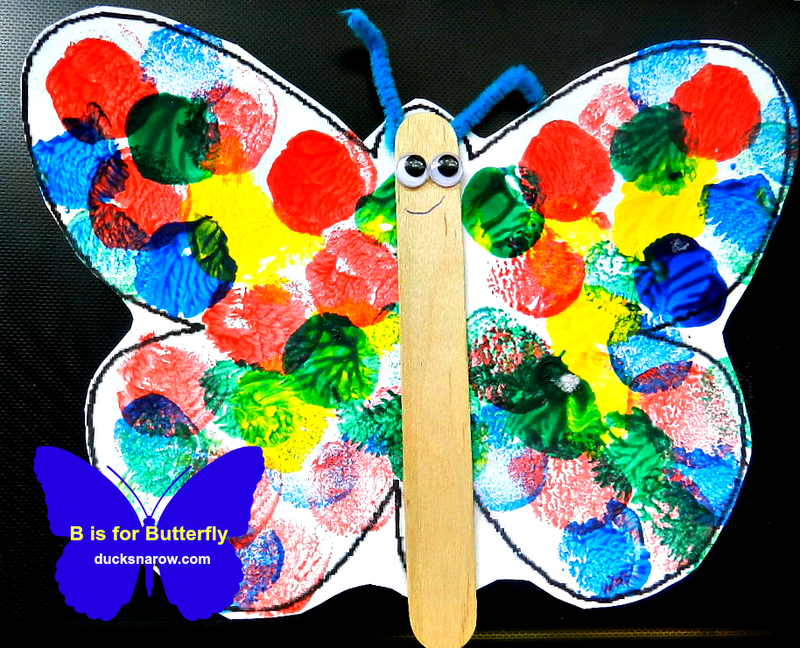 In addition to all this fun, we read the book by Eric Carle: Very Hungry Caterpillar and we also went on a Butterfly Picture Hunt – a simple little treasure hunt that 3 and 4 year olds thoroughly enjoy! 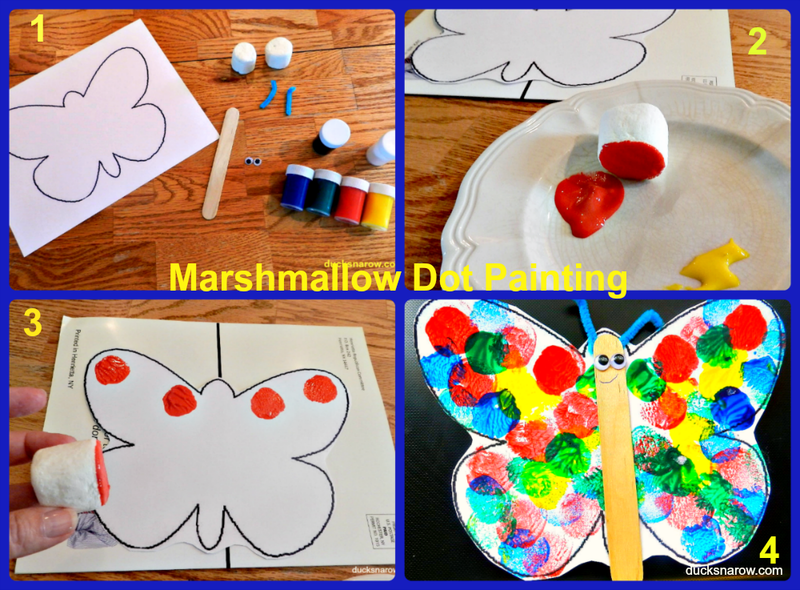 Letter B is for Butterfly preschool lesson, video and marshmallow dot craft. Your little ones will love this! 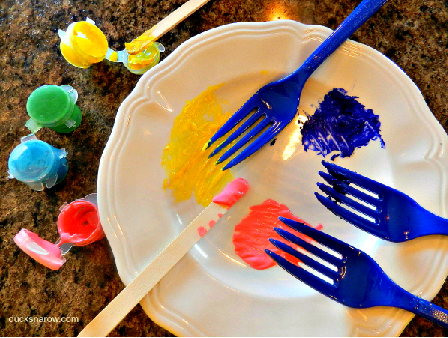 Looking for more unusual painting techniques for preschoolers? A great companion lesson: C is for Caterpillar! 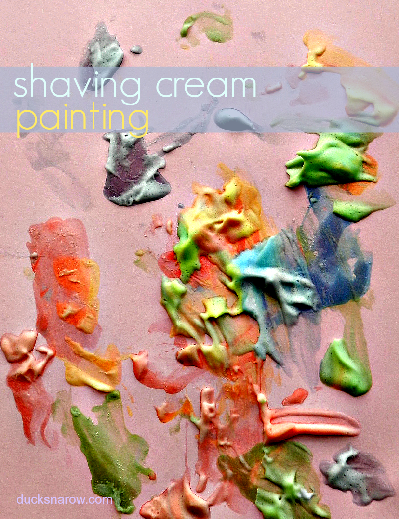 What other creative ways do your little ones use to paint? Previous Post: « Yummly – A Food Blogger’s Dream Come True!